Three Jews arrested for having Israeli flag, another expelled from holiest site in brutal police operation. Others hit by Waqf. Three Jews were arrested on the Temple Mount on Tuesday, in a harsh police operation that included strip searches. A fourth Jew was expelled from the holiest site in Judaism and forbidden entry, reports The Joint Coalition of Temple Mount Organizations. The incident began as dozens of Jews who went to the Temple Mount Tuesday morning were ordered by an officer to enter his office one by one, and were there ordered to undress to make sure they weren't "smuggling" Jewish symbols onto the site. Those banned symbols included dried fruit on Tu B'ishvat. 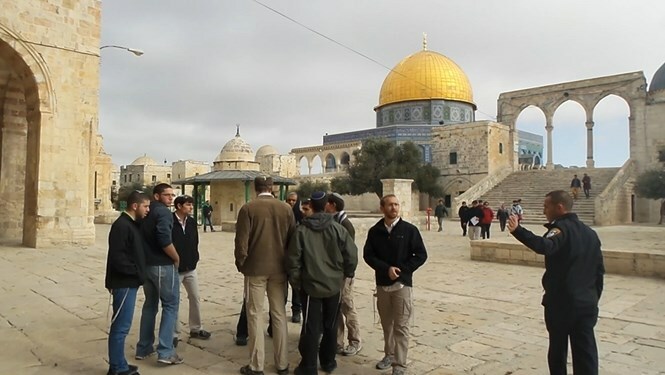 Moti Gabai, the officer tasked with the gate to the Temple Mount, told Jewish visitors he was instructed to prevent all Jewish or Israeli symbols from being brought onto the site. 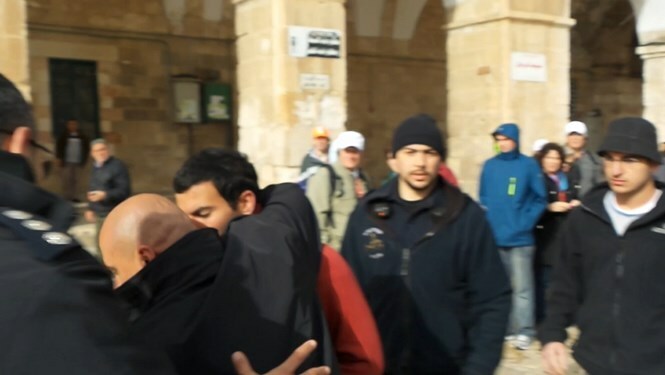 Temple Mount Deputy Commander Daniel Sarga oversaw the scandalous strip searches personally, according to reports. Two of the Jews were found to be in possession of a banned object - the flag of Israel. The two young Jews were immediately arrested by police. 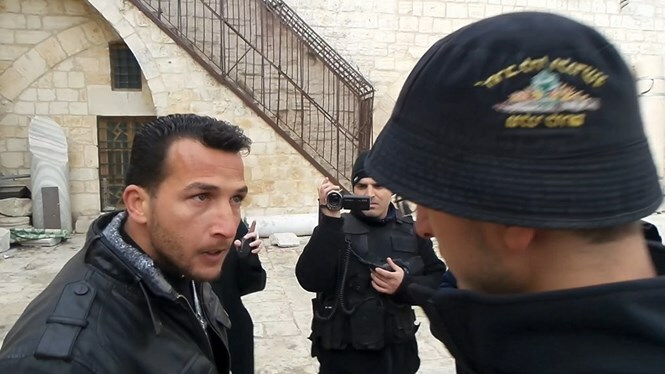 A third who was filming the events at the entrance and on the Temple Mount was reportedly hit by an officer, and arrested as well as he continued to film. A fourth Jew that was wearing tefillin (phylacteries) under his shirtsleeves was expelled from the site by officers, and forbidden from entering. 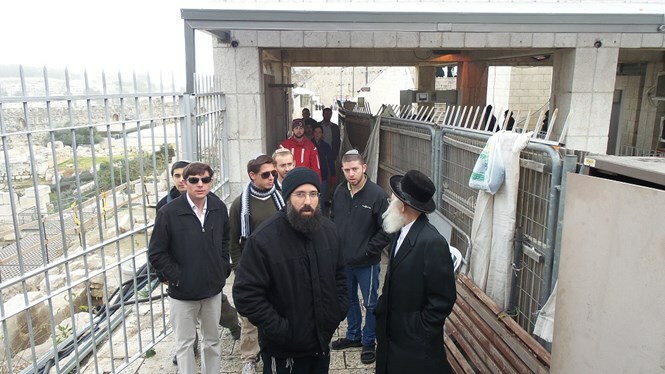 Students from the Beit Orot Yeshiva, who were visiting the holiest site to Jews for the first time, along with Rabbi Yaakov Yakir, were shocked by the police treatment. For an hour the students were not allowed to enter by police, on the pretext that 5 Jews were already inside on the Temple Mount. After the hour wait, the students were let in for only 2 minutes, and then immediately seen off the site. Another group of Jews report being hit by members of the Jordanian Waqf (Islamic trust) that has been left in charge of the site. The group asked an officer to identify them in order to submit a lawsuit. The officer refused, and ordered the Jews to leave the Temple Mount. The Waqf recently made claims that there was no Jewish connection to the Temple Mount, and that King Solomon was Muslim. Islam was created in the 7th century CE, while King Solomon built the First Temple on the Temple Mount in the 10th century BCE. 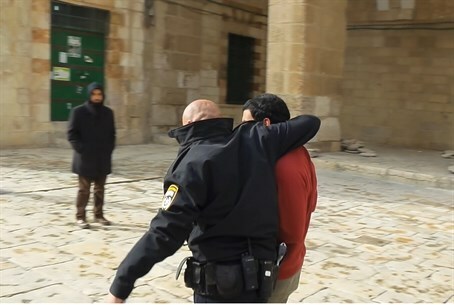 The story of police cruelty comes as police, working with the Shin Bet security service, recently arrested over a dozen members of a Hamas-linked terrorist cell in Jerusalem that was planning attacks on Jews at the Temple Mount.